According to the United States Department of Labor, in 2010, women comprised 47% of the total U.S. labor force. Though women still earn 82.5% of the salary of our male co-workers, we’re bringing home some nice paychecks every month, an average of $39,157 a year in 2013 for those of us who work full-time! In other words, we are embracing education, working hard, and taking control of our lives by earning our own living. However, if we truly want to enjoy a life of abundance and empowerment, we must manage our finances smartly! Most of us don’t learn money management skills in school, and our parents’ attitudes towards money may make us embarrassed to talk about it or fearful of losing it. In fact, as a whole, Americans aren’t very good at managing their money. The average American household carries $5,700 in credit card debt, and Investopedia reports that Americans between the ages of 55 and 64 – the years just before retirement – have saved an average of just $104,000. Though this may seem like a lot, the average life expectancy for a woman in the United States is 81 years! If you retire at 65, that means your retirement savings may need to last 16 years or more! Ladies, it’s time to take hold of our financial destiny. The first step is to educate yourself. Learn how to track and analyze your expenses so you don’t spend more than you earn. Start thinking about what you want your retirement to look like, so you know how much you should be putting away each month. Additionally, it’s time to shake off your money fears and learn about why investing your money in a balanced portfolio can help your money grow and work for you! 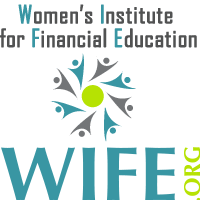 This is the purpose of WIFE – the Women’s Institute for Financial Education. Around here, we like to say that “Every Woman Needs a WIFE.” In other words, we all need a supportive partner who can help us grow our money education. At WIFE, we offer a wide array of informative and useful articles on almost every topic related to money, from articles about money and emotions, to guides on how to financially recover after a divorce. We’ve even written several books on the topics that women ask us about the most. Our site also includes useful tools, like our Cost of Living Calculator, WIFE Savings Calculator, and a variety of other Financial Calculators. 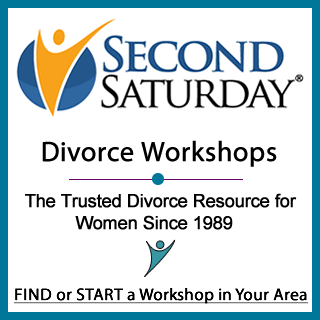 Finally, we’ve built some very cool programs, including the Second Saturday Workshop, which provides expert advice to women who are either considering or going through a divorce, as well as Money Clubs that encourage women to get together to learn and discuss money topics. Please bookmark our page and our social media pages. We’re always adding new content, so you’ll want to come back regularly!